Fully functioning brakes are a key factor to your safety while driving. You can count on the team of technicians to have a full and well rounded skill set with brake fluid, brake pads, anti-lock sensors and more. Is it time for a brake repair? The most unfortunate part of break repair is that customers often put it off for too long. If you can’t remember the last time that you had your brakes repaired, then it has likely been too long, however, there are a few other signs to help you determine whether or not you should be making an appointment with our team of mechanics. Is your brake light red on your dashboard? Are your brakes taking too long to respond? Do you hear a grinding sound when you try to break? Are there any strange sounds that you hear when breaking? If you answered yes to any of the questions above, then it is time, or beyond time, to get your brakes repaired. The longer that you spend avoiding brake repair, the more damage your car can experience. While your brakes sole job is to stop your car, bad brakes wear down different parts of your car that contribute to more than just the stopping of your vehicle. When you leave your brakes in a poor condition and continue to drive with them in that state, you risk ruining your tires, rotors, padding, and more. Avoid this by always staying ahead of the game and having your brakes checked out on a routine basis. If you haven’t had your brakes checked, repaired or replaced in over a year, it’s definitely worth stopping into Urban Autocare, especially if one or more of the questions above are happening when you stop. 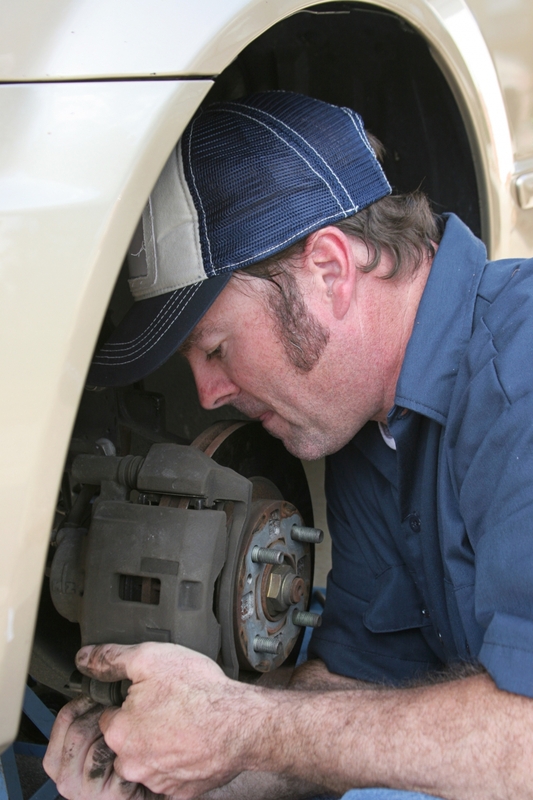 Our technicians have years of experience and can spot a brake problem the second they see it. Call Urban Autocare to set up an appointment for your brake repair. We work with most makes — including Jeep, Toyota, and Subaru — and we’re proud to provide mechanic services for our neighbors here in City Park, Park Hill, Washington Park, Downtown, and Uptown. We have two locations in the Metro area, one in City Park West and one in Lakewood. Stop by today!